They'r real cars, but I thought they were toys. I'd like to see the interior. good question jerry. i'll try to find the price. i'd like to see the interior too sean. i didn't see any interior images onilne. it's an amazing site full of options. best of all the Vido Configurator. 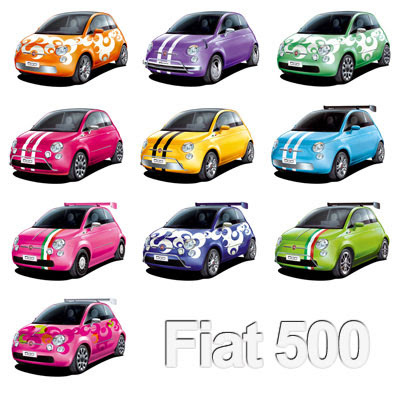 you can choose your favorite colour, weels, fabrics and options, and customise it with a wide variety of accessories and stickers that only the 500 can offer. And at the end, you'll have your very own video that you can save in the 500 Video Channel and send to your friends...enjoy-it! !